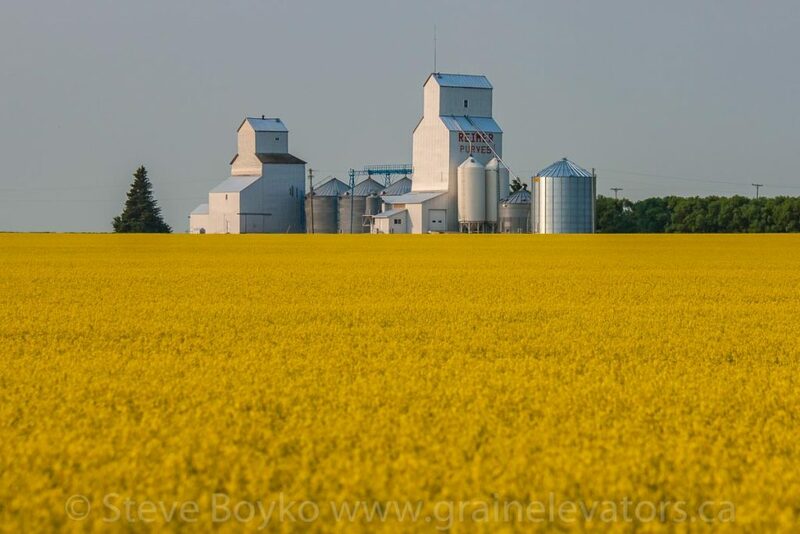 The grain elevators in Purves, MB, July 2014. Contributed by Steve Boyko. There are two grain elevators in the ghost town of Purves, Manitoba. They are privately owned and appear to still be in use in 2014 by Reimer Farms. Purves used to be served by Canadian Pacific Railway via the CP Snowflake subdivision, but that was abandoned in the late 1970s. 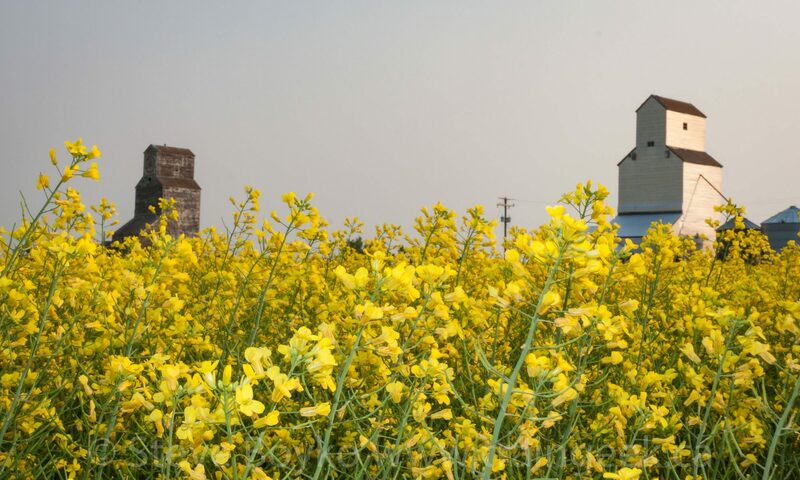 The Reimer grain elevators in Purves, MB, July 2014. Contributed by Steve Boyko. 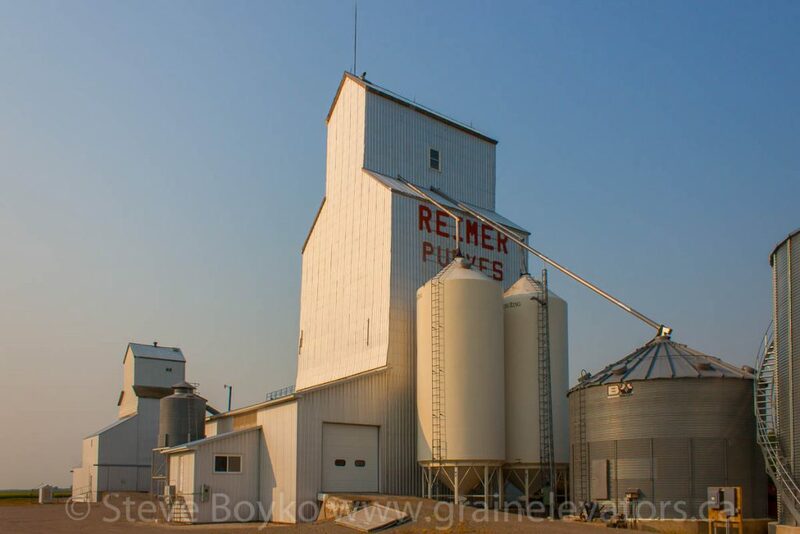 The larger Purves grain elevator was built by Manitoba Pool Elevators in the 1920s and was sold to David Reimer in 1980. The original office and driveway have been replaced. At one time it had a World War 2-vintage balloon annex but this has apparently been replaced by steel bins. 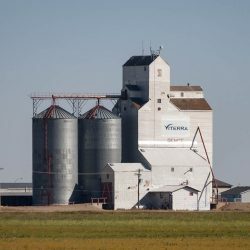 The original owner of the smaller Purves grain elevator is unknown. A few miles out of Purves is this farm elevator, in a field. There are rumours that this is one of the oldest elevators in Canada. 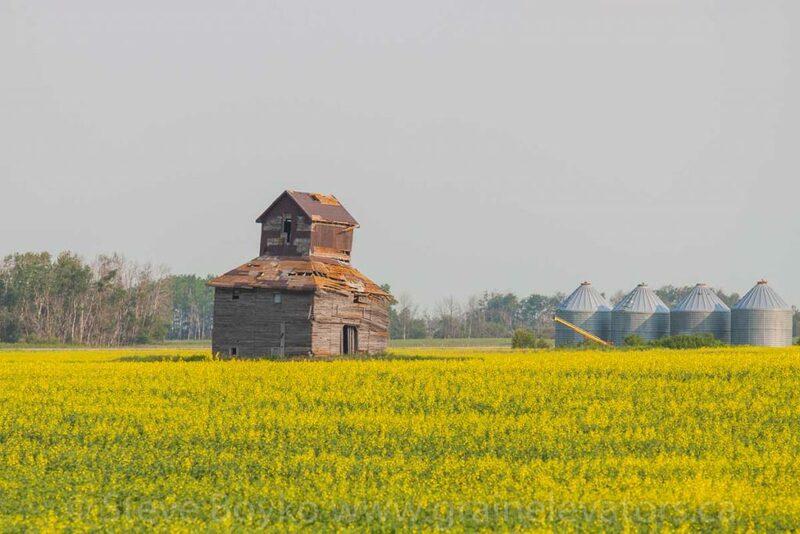 An old farm elevator near Purves, MB, July 2014. Contributed by Steve Boyko.